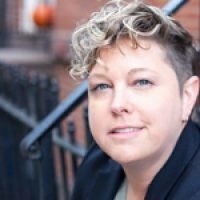 Kelly Campbell started, scaled and sold an award-winning digital marketing agency in New York over a 14-year span. Since then, she’s been consulting with established creative and tech agencies across the country to help them navigate growth by focusing on people, positioning, pipeline and profitability. She has been the SEO Consultant to both Facebook and NASA, and she hosts THRIVE: Your Agency Resource, a bi-weekly video podcast sponsored by Workamajig that helps agency owners discover solutions, balance and growth.